Allocate jobs to all your registered contractors enabling them to process work and complete jobs via this easy to use portal. With Help Desk Software from Micad, your contractors can receive and process all jobs you send them whether reactive or PPM based. Notes and documents can also be uploaded so you have the entire history of each job posted back to the main HelpDesk application. 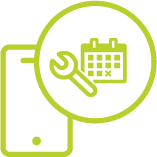 If required, contractors can even log further jobs back via a link to the customer portal. 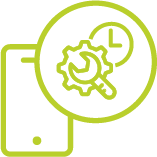 With access via a tablet or desktop, the software is flexible and easy to use and it provides you with the perfect solution for keeping your reactive and PPM maintenance organised. Our Help Desk Software Resource Portal is available to request for demonstration. Our demonstrations will show you how to allocate jobs, enable jobs to be processed and so much more. To request a demo get in touch with one of our team today.